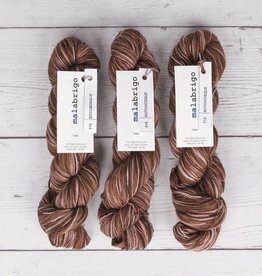 Malabrigo’s lace yarn is spun from deliciously soft Uruguayan Merino wool. This delicate lace-weight single is one of our favourite for shawls and lace and holds blocking well. Use alone or hold two colours together for subtle marled effect. 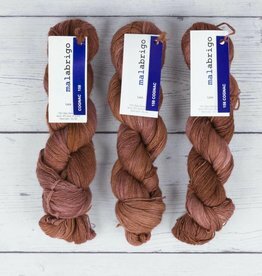 We recommend getting enough yarn for your project because colours vary between dye lots. 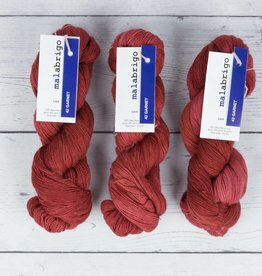 Some colours vary between skeins within the same dye lot, so we suggest alternating between balls every few rows to ensure an even colour distribution.